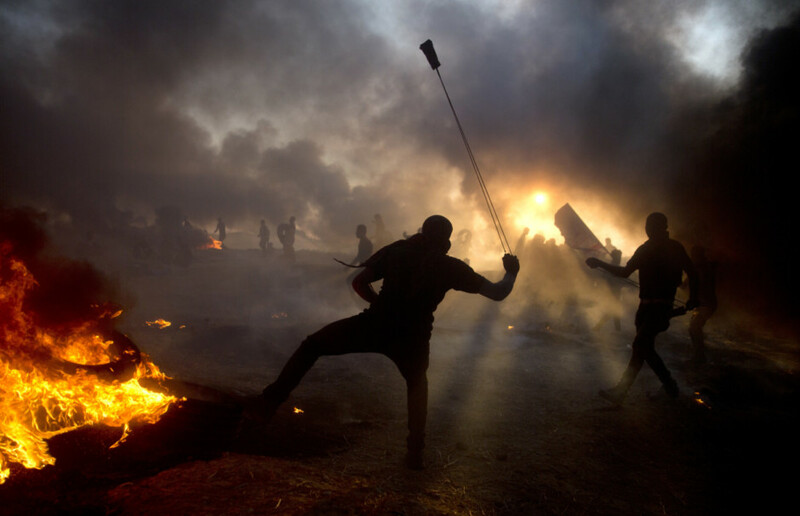 Ramallah, Palestinian Territories: By suspending badly-needed fuel deliveries to the Gaza Strip after deadly overnight clashes, Israel occupation regime has cast doubts on the viability of the hard-won measure aimed at helping the Palestinian people and easing tensions. The deal, brokered by the United Nations and backed by the United States, Israel and others, had seen thousands of litres of fuel trucked into Gaza daily to boost the impoverished territory’s electricity supply. But only days after being brought into effect, Israeli regime’s Defence Minister Avigdor Lieberman late on Friday ordered the deliveries to stop after clashes on the Gaza-Israel border. Despite hopes the fuel would help ease months of deadly violence, thousands of protesters gathered again Friday at the border fence. 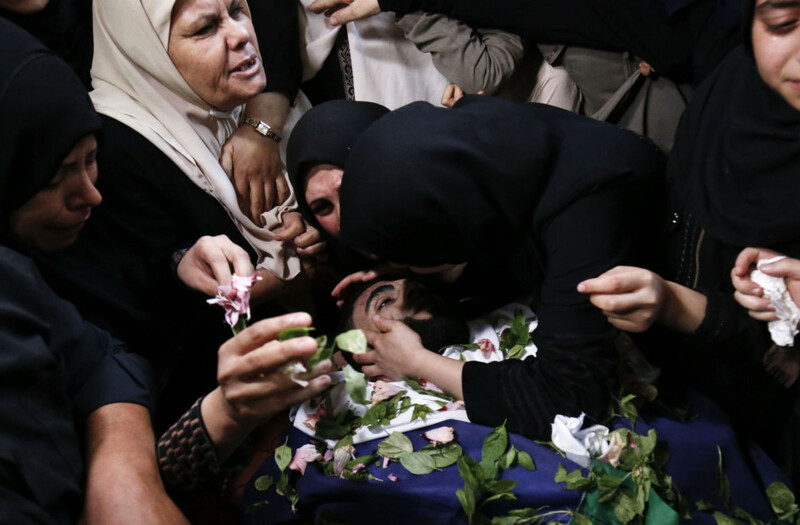 The Gaza health ministry said seven Palestinians were killed. The fuel deal had been reached without the agreement of the officially recognised Palestinian government, in what diplomats said was a first for Gaza — which is controlled by the rival Palestinian faction, Hamas. And it had also raised questions on whether Palestinian president Mahmoud Abbas is slowly being sidelined. The Palestinian National Authority (PA) headed by Abbas has semi autonomy in parts of the occupied West Bank, but lost control of Gaza to Hamas in a near-civil war in 2007. But the PNA has long been the only address for most international powers and a senior official declared on Thursday it would no longer work with the UN envoy who brokered the deal. The UN and other parties say they are merely seeking to improve the desperate humanitarian situation in the strip, under a crippling Israeli blockade for a decade. More than two-thirds of Gaza’s two million residents rely on aid, while there are only four hours of electricity a day. Great efforts were made to convince Abbas to agree to the fuel deal, UN and diplomatic sources said, with a decision ultimately made to work around him. “The humanitarian imperative is more important than the relationship with the PNA,” one diplomat said. There has been criticism of the PNA that it has done little to ease the suffering of Gazans over the past decade and Abbas has even taken punitive measures against the strip to squeeze Hamas. But the Palestinian National Authority fears the United States, which is due to announce a peace proposal, and others may seek to further split Gaza from the West Bank, dimming already slim hopes for a two-state solution between a Palestinian entity and Israeli regime. Western diplomats fear Abbas may now take new steps, or even cut off some ties with international powers. “We could end up choosing between working with the PNA and easing the humanitarian situation in Gaza,” one diplomat in occupied Jerusalem warned. Abbas has not set foot in Gaza since the PNA’s 2007 polls defeat there, with multiple rounds of reconciliation talks failing. The Islamist Hamas has since fought three wars with Israel and Western powers consider it a terrorist organisation. A return to power of the Abbas government in Gaza is seen as a key step to achieving an independent Palestinian state. But in Gaza, Hamas has organised months of border protests, with nearly 200 Palestinians and one Israeli killed since March 30. In a recent rare interview Hamas’s Gaza leader Yahya Sinwar encouraged world powers to work with it to ease the suffering. Egypt and the United Nations had sought a deal whereby Hamas ended the protests in exchange for an easing of Israel’s crippling blockade. But Abbas was opposed, seeing it as tacit recognition of Hamas’s control over Gaza. Under the limited agreement which came into force on Tuesday Qatar, a longtime Hamas backer, was to pay $60 million for fuel to be brought into Gaza over six months to fuel the strip’s sole power plant. At least six trucks have entered the Gaza Strip since Tuesday, bringing more than 200,000 litres of diesel, and there had been plans for it to reach up to 15 trucks a day. On Thursday senior Palestinian official Ahmad Majdalani said UN envoy Nickolay Mladenov, architect of the deal, was “no longer acceptable” to the PNA, accusing him of exceeding his mandate. “There is a deep paranoia in Ramallah that this UN initiative is part of a broader conspiracy between Israeli regime, the US and the UN to have a mini-state in Gaza and sideline Abbas,” Hugh Lovatt of the European Council of Foreign Relations think tank told AFP. Abbas has also boycotted the US administration since US President Donald Trump recognised occupied Jerusalem as Israel’s capital in December 2017. Palestinians consider the eastern part of the city their capital.